Interesting common sense report on what kids really need to develop cognitively. Thanks to the Science Blog for the brief post. Interesting news article of research that implicates changes in the prefrontal cortexr due to ADHD medication. Thanks to the Eide Neurolearning blog for the FYI post (and link to article) re: developmental brain differences in kids with high intelligence. 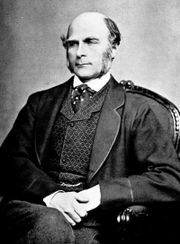 Thanks to the Gene Expression blog for the post regarding the ability (and availability) to purchase books by one of the fathers of individual differences research---Sir Francis Galton. For those who want to stay abreast in the DSM-V revision that is in process, check out the DSM-V Prelude Project web page. Video on "is psychology a science?" Thanks to Mind Hacks for the link to a video starring an 11 year old who briefly ponders the question --- "Is psychology a science?" Working memory key to understanding cognition/intelligence? Interesting news article regarding forthcomming issue of Neuroscience that focuses on the critical importance of cross-disciplinary research re: the importance of working memory in understeanding cognition/intelligence. 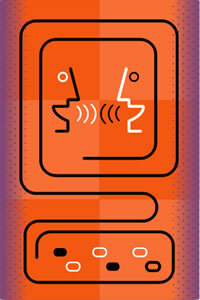 Thanks to the Brain Blog for the brief post (with abstractd) re: article dealin with aphasia screening instruments. I've previously posted information about the demand for psychologists with skills in psychometrices. A September article in the APA Monitor reinforces the increasing need for quantiatively trained psychologists. LD dyslexia screening in first grade? Thanks to Tim Keith for forwarding me a link to a rapping video called "stats 4 life." Who said stats ain't cool. This may be a bit off track, but I found it interesting. See post at the Neuroethics and Law Blog regarding issues surrounding the confidentiality of psychological testing of potential NBA draft picks. Tip-of-the-hat (again) to the Eide Neurolearning blog for an FYI post (and many useful links) regarding recent fMRI research in the somewhat psychometrically fuzzy domain of creativity. CHC note - many of the fluency narrow ability factors in the broad domain of Glr (long-term retrieval) are often labeled as indicators of creativity. The following is a post by the blogmaster (Kevin McGrew), who is also a member of IQs Corner Virtual Community of Scholars project. There can be no doubt that the statistical tool of factor analysis has played a huge role in individual differences research, particularly in the development and validation of theories of intelligence. And, few would also argue that the history of how to properly run factor analysis has been a hot topic of debate for decades. There is a plethora of journal articles, books, and book chapters devoted to this method. With this in mind, it was a pleasant surprise to stumble across the exploratory factor analysis (EFA) article listed below. Although much has been written, to the neophyte it is often hard to get an grasp on some of the major issues and nuances of the various steps involved. The Henson and Roberts article provides and excellent overview of the major steps and issues in EFA and ends with some author recommendations on how to use and report EFA studies. I found the literature review the most useful and recommend it for reading by those who are (a) experienced in EFA (to provide some reminders of the key issues---also as a good article to cite for background regarding the issues in one's own work), (b) novices who want to get "up-to-speed" regarding some of the key issues and methodological nuances, and (c) others who read research articles that are based on EFA (to better evaluate the appropriateness and rigor of the methods used in research reports). Given the proliferation of factor analysis applications in the literature, the present article examines the use of factor analysis in current published research across four psychological journals. Notwithstanding ease of analysis due to computers, the appropriate use of factor analysis requires a series of thoughtful researcher judgments. These judgments directly affect results and interpretations. The authors examine across studies (a) the decisions made while conducting exploratory factor analyses (N = 60) and (b) the information reported from the analyses. In doing so, they present a reviewof the current status of factor analytic practice, including comment on common errors in use and reporting. Recommendations are proffered for future practice as regards analytic decisions and reporting in empirical research. This is a GREAT video on how to tease a cat with a notebook computer. Very funny and cute. Click here. Ga musical abilities - on-line test--a teaching tool for CHC theory? Musical Discrimination and Judgment (U1 U9) ---ability to discriminate and judge tonal patterns in music with respect to melodic, harmonic, and expressive aspects (e.g., phrasing, tempo, harmonic complexity, intensity variations). Quote to note - Einstein on what "counts"
Improving recognition memory via visual "flicker"
Can "visual flicker" enhance recognition memory? Check out another interesting post on the Developing Intelligence blog for more info.